Hiking can be not only a great experience but also a great form of exercise. Mountain climbing and hiking can be quite dangerous though without proper equipment. Having a proper hiking boot can be the difference between an enjoyable hike and a potentially sticky situation. When out climbing you can experience all kinds of dangerous situations including sliding mud/rocks, downpours and steep terrain. There are tons of reported injuries and even deaths of individuals who were hiking and climbing without proper gear. Proper hiking shoes are going to make all the difference in both the overall hike but also the impact on the body during and after the hike. There are numerous hiking boots on the market though and it is hard to know which are best for you. This type of equipment needs to be durable, have good tread, be comfortable and be supportive. You want to ensure that you are wearing a product that isn’t going to hurt or be uncomfortable halfway through your hike. The proper tread is going to ensure that you aren’t slipping when attempting to get through steeper parts of the hike and the shape of the shoe should also be supportive in a way that will ensure that your ankle and heel are supported in more awkward positions. 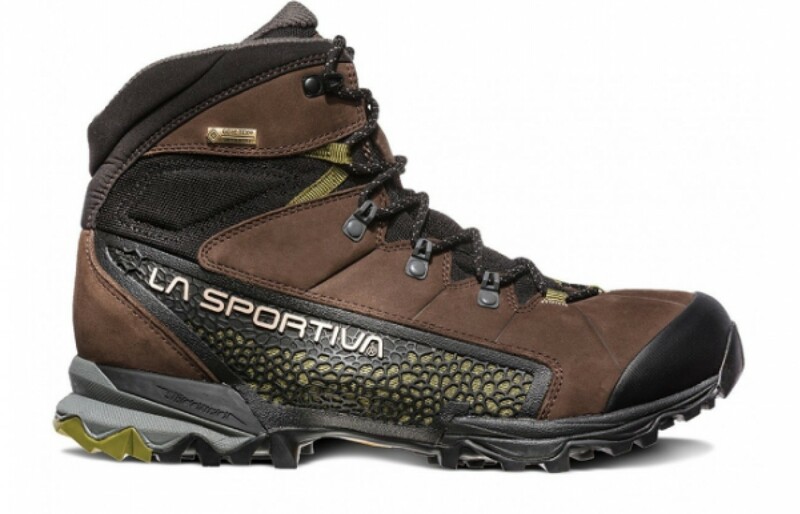 This article is a review on the very popular La Sportiva Nucleo High GTX hiking boot. This product comes in both ladies and men options. It has a high back, a very simple design and comes in a couple different colors. It has a very ‘sticky’ sole and proper tread to get you through the hike without fears of slipping. It is widely-appreciated, high-quality waterproofing and provides proper breathability to ensure that your feet aren’t getting too hot or wet while out on the trails. The waterproofing is particularly handy if a storm hits or when in wetter/more humid environments. There is nothing worse than wet socks especially if you are not equipped with a dryer or a second set of socks. This pair of shoes were also awarded Gear of the Year with Outdoor Magazine in 2017. 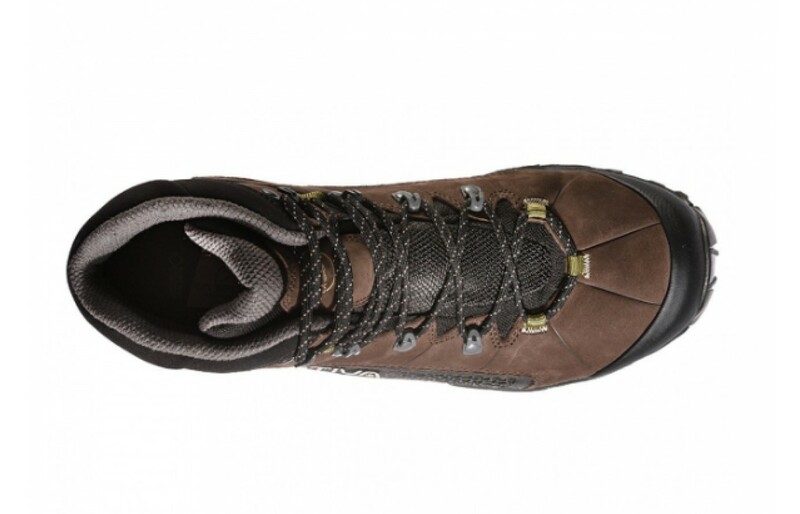 So without further adieu, here is our review on the La Sportiva Nucleo High GTX hiking boot. Enjoy! The Gore-Tex Surround Technology featured in this product is supposed to provide 360-degree breathability. They are almost similar to a running shoe. The breathability of these are surprisingly good considering how waterproof they are (discussed more below). They keep feet cool and dry even in hot and humid climates. Many reviewers were saying they were traveling through New Zealand and Arizona with no issues. A benefit of breathability is that not only will it keep the feet cool, but it will also help with blisters and odor build up (therefore extending the longevity of the shoe). The one complaint reviewers had about this show was that due to good airflow, it didn't make the shoe ideal for colder climates. The upper is made of a Nubuck leather and Nano-cell direct injection according to the product's website. Nubuck is a type of leather made of top-grain cattle. It has shorter protein fibers which give it a velvet-like feel. It is often used in shoes because of the strength and thickness of the material. It scratches easily and water drops can easily stain the material which are its two primary disadvantages. The advantage of this type of material is that it is strong and fairly easy to maintain making it ideal for the upper of the hiking boot. Unlike most products comparable it does not have a mesh top which could prohibit airflow however does help protect the foot from anything falling on top of it. The midsole of this product is made with a compressed and molded EVA. EVA is ethylene vinyl acetate which is a stretchy material that is very porous and similar to rubber but is much tougher than rubber. It is usually used in boots due to its durability and waterproofing. The reason that this product being used as the midsole for this boot is that it is extremely light making the boot easier to walk around in for extended periods of time. The lightweight feel of the boot makes it feel more like a running shoe than it does a hiking boot, boots specifically having the reputation of being quite heavy and clunky. This is a common compliment of this product, that it is quite light and similar to a running shoe. This product has a patented impact brake system which helps especially when moving downhill and faster speeds. 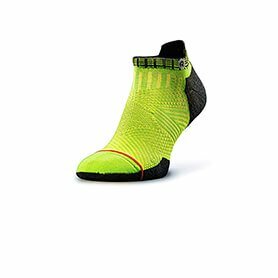 The system helps the product fit better around the heel and provides more cushion so that the impact is lower. This will help protect your heel, shins and lower back. It also helps prevent blisters on your toes when doing downhills. The sole works hand in hand with the tread (discussed lower in this article) but overall this has been reviewed as being a very pleasing addition to the shoe. It will help the hiker go longer, harder and steeper on their hikes and climbs. The comfort is rated very highly on these shoes. The comfort comes from the light midsole, the breathability and the waterproofing of the shoe. Many reviewers said that this was one of the most comfortable shoes they have ever purchased. The comment about the product being more similar to a running shoe than a hiking boot came up quite frequently. They are quite light rather than bulky and will keep the feet dry. The one disadvantage that a couple reviewers noted was that there is no break-in period with this product. They said that right away these were quite comfortable which is convenient as break-in time usually includes some blisters. Getting to skip this stage is desirable. The Impact Brake System is also handy because it makes the boot fit like a glove. Between the lightweight feature of this product, the soft materials, the breathability and the lack of having the break them in, this product is definitely worth giving a try. This product is super light in weight. They are made of Nubuck leather, woven polyester, and compressed molded EVA. These are all very light and soft materials. They weigh in at about one pound each. This benefits the hiker because it will delay leg and foot fatigue, extending the length of the hike before getting tired. Another common comment made by reviewers about these is how surprisingly lightweight they are. 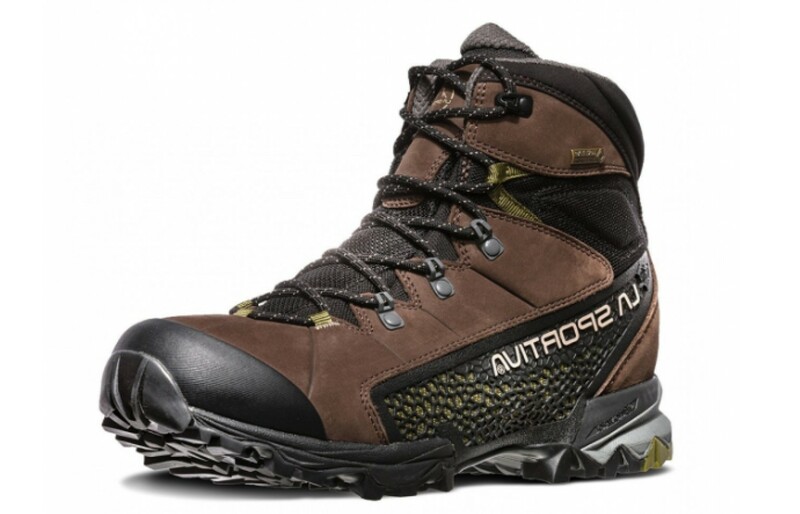 This is unique in that most hiking boots are known to be heavier and bulkier due to all the support requirements of this particular type of equipment. So this is a nice advantage of this product. The style of these boots is definitely more on the sporty side. It comes in a couple different colors, has some reptile-like rubber design on the side and the large white La Sportiva decal on top. They have the classic high top for support around the ankle and metal islets to hold the laces in place. Overall, they aren't necessarily fashionable but they look like they are designed for serious climbers. They are a little more simple in design and are not overly bulky which is an attractive feature. The advantage to this is that the majority of this type of product are usually quite heavy and bulky in design and therefore can be a hassle to carry or wear around. This product is a little more lightweight and thin which is a nice feature to have. The durability of this product is quite good. Many said that they had their boots for years, with regular usage and the boot is still fully intact. All the materials used are quite durable materials in general. The craftsmanship of the product looks as though it was stitched together well and made of quality materials. The tread on these shoes are made of high-quality materials as well so there's no worry that even if the shoe itself is still holding together but the tread is going so they are unusable. The only complaint that we saw was the shoelaces, that they aren't made very well and that the shape islets breakdown the material even further making the shoe laces pointless. This is a big issue if the lace breaks mid-hike as the lack of support could end up causing some ankle issues or sprain. Outside of the laces, the product seems to be quite durable. This product is affordable. It sits about middle of the road as far as hiking boots go. They are deemed to be quite comfortable, light-weight, they are crafted well and made of quality materials. For those reasons, this product is worth the cost. Finding cheaper products is definitely doable however you would end up with a product that probably won't last as long and spend more money down the line. Spending less is usually indicative of being made of cheaper materials and not crafted as well. Because this product is made of better materials and still sits middle of the price spectrum the buyer is getting a better product for the price. These aren't super expensive and are good quality, they are worth the price. The traction on these is highly rated as well. 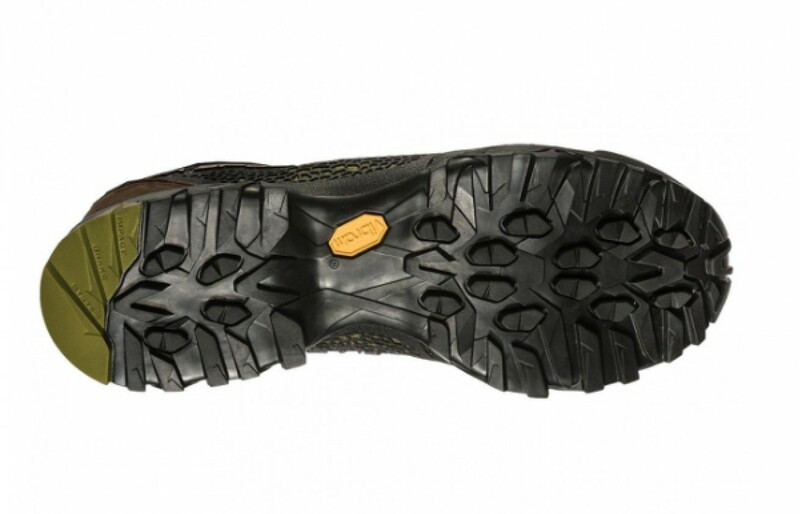 They have a Vibram Nano sole with Impact Brake System which offers better traction and control. Vibram Nano material is a type of non-slip rubber usually used on the outsoles of footwear. Vibram is well known as the material used in FiveFingers footwear (that is the brand of shoes that surround the toes to make it look as though the individual wearing them are 'barefoot' so to speak) that are used for outdoor running. The material has a good level of abrasion resistance meaning that you will see less slipping. The material is ideal for walking downhill as it will grip the surface rather than sliding. These boots are completely waterproof. One of the most common comments about this product in reviews is how good the waterproofing is. One reviewer said they were out for nearly 12 hours in wet weather, at one point experiencing a torrential downpour and being surprised at the fact that their feet were still dry. The product references to the Innovative Nano-Cell technology for the breathability and waterproofing. It has both waterproofing but breathability which is a hard mix to achieve. Overall, this is probably its best and most reliable feature. In conclusion, this product is worth the cost. They seem to have several very positive reviews. They are made of quality materials, they are supportive and lightweight. The individual wearing them can get not only quite a bit of time per hike wearing them but also several years of usage out of them. They are simple in design and look as though they are meant for serious hikers. The breathability will keep the feet cool and free of blisters but the waterproofing is unlike any other. The feet will stay cool and dry at the same time as a result of this. The one complaint that I saw pop up a couple times is that the breathability is so good that they may not be ideal for quite cold weather as there is very little heat retention provided with these shoes. And the other complaint was that the eyelets are a little sharp and will break down the laces much quicker so purchasing laces from another vendor may be required. Outside of these two complaints, this product is quite impressive. We hope that this article helped you in your buying process. Happy Hiking!